Thank you so much to all of our November 2014 supporters of the Believe in Blue project during National Adoption Month! 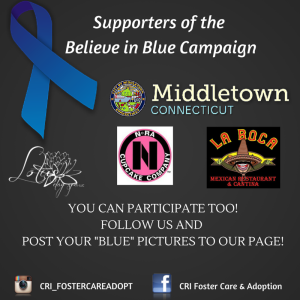 If you want to join in on the fun, help us color Connecticut blue during Foster Care Awareness Month in May 2015! Contact bkilfeather@criinc.org if you’re interested in participating!